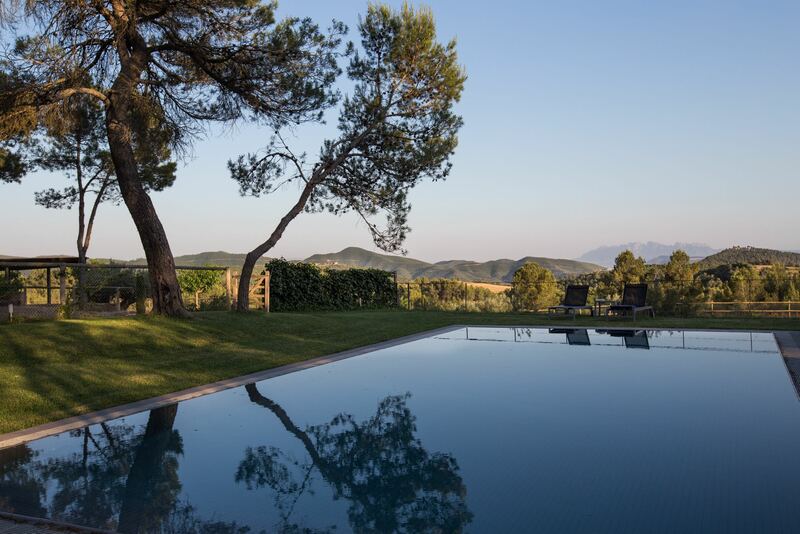 Spain is our newest yoga retreat destination. Each visit to the beautiful North of this country is a chance to tap into the character of this place and to experience PASSION that this place is breathing with. Passion for real food that stimulates the senses, passion for aesthetics, passion for life. Passion for connecting with nature and with your true self and re-ignited passion for your yoga practice. Yoga fits in this picture perfectly - huge open spaces overlooking mysterious Mount Montserrat create an unforgettable backdrop for yoga and meditation practices, and thanks to wonderfully warm and sunny climate of the region, we are able to comfortably practice yoga and meditation outdoors on most days in a serene and peaceful nature getaway, in our little paradise amidst unspoilt nature. In-between the classes, the location invites you to enjoy and saviour the slow life and to rediscover peace in the present moment. Our hosts in Spain are a local family running an ancient, lovingly renovated property that will impress the most demanding of guests. 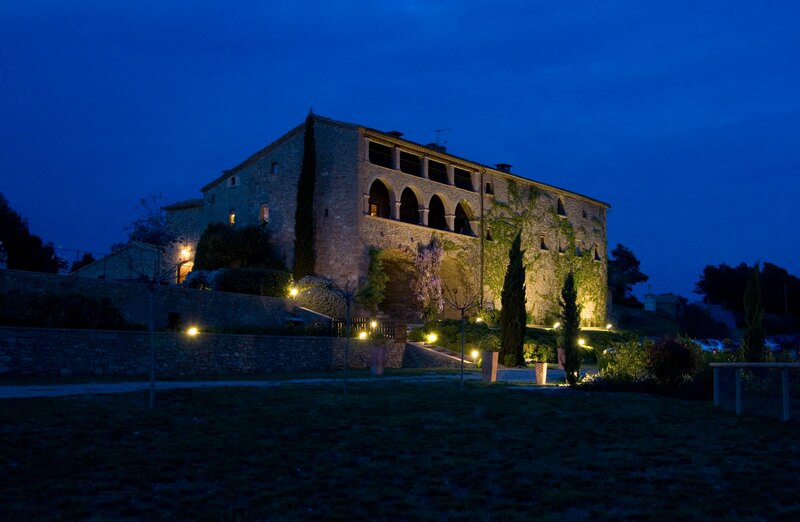 With attention to the smallest detail and true Catalonian warmth and hospitality, you feel welcome, relaxed and at ease. This retreat is open to all ages and levels of fitness and experience. During this yoga retreat, you will have an opportunity to delve into a variety of approaches to hatha yoga, from elemental vinyasa flow to peaceful hatha with a therapeutic quality, and to see your practice flourish. Some of the sessions may include the elements of yin yoga, myofascial release, pranayama and meditation. A part of the programme is yoga nidra (yoga sleep) meditation which has an extremely restful and restorative effect. All sessions will be adapted to the group and modifications of the poses will be offered to cater for all participants and to ensure that everyone is receiving the benefits of the practice and the individualised attention. Weather permitting, the yoga and meditation practices will be help outside in the nature - we can choose between the platform by the pool or the pine forest that is a part of the property. We are staying in a beautifully renovated boutique hotel in the vicinity of Pyrenees which used to be an olive press many centuries ago. The hotel is set on a plateau overlooking green rolling hills and forests as far as the eye can see as well as stunning silhouette of stunning Mount Montserrat in the distance. 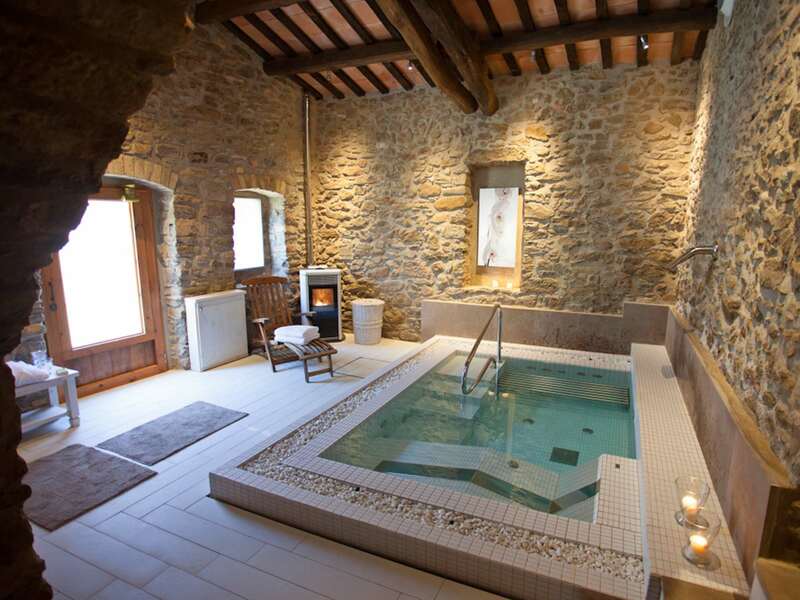 The retreat also features a cosy spa, indoor pool as well as saunas and a relaxation area. Our amazing retreat is rich in values of the family that runs it: love for nature, taking care of the little things, excellence, dedication and commitment, silence, a passion for cooking, healthy food, simplicity, consistency as well as respect for others and for their surroundings. The rooms are decorated to a highest standard of aesthetics and comfort. Double and single occupancy available. 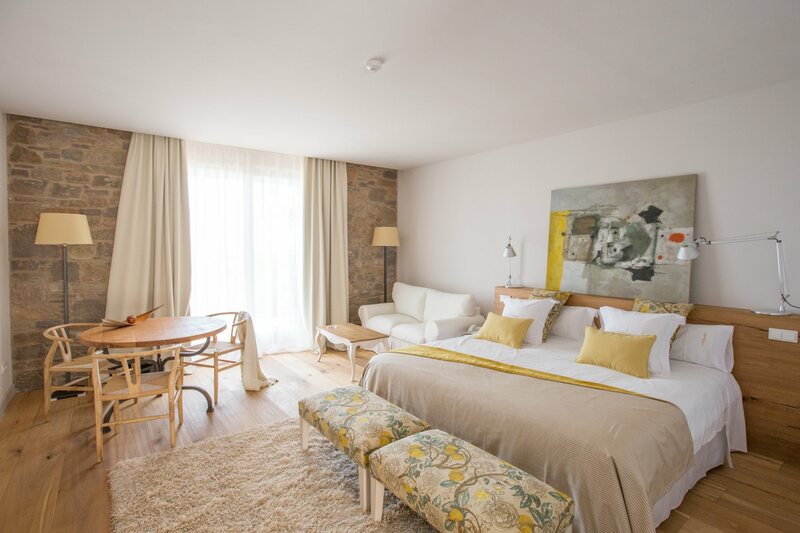 The retreat features delicious and rich eco-gourmet breakfasts with fresh juices, a buffet of cereals and superfoods, a selection of delicious homemade cakes, savoury dishes and a great variety of warm drinks. The lunch picnic is an informal option for guests to enjoy a meal in the very heart of the countryside, taking a walk through the country, and time to explore the surrounding area. Our state-of-the-art dinners are served in a old barn restaurant of the retreat and offer a selection of chef’s dishes and seasonal produce as well as an amazing view of the mountains. You will be savouring a renewed traditional cuisine where fresh scrumptious market produce is the central feature. Many of the products you will taste come from the retreat’s organic vegetable garden. The menu of the retreat is vegetarian. 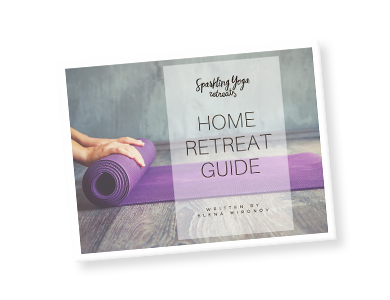 This yoga retreat is lead by Elena Mironov, the founder of Sparkling Yoga Retreats. Elena is an experienced yoga and meditation teacher, with a strong background in both technical, therapeutic and energetic aspects of yoga and meditation, over 12 years of teaching experience and a background in psychology. Read more about the teacher. unlimited use of indoor- and outdoor spaces for yoga sessions. There is a variety of trails just outside the hotel as we are surrounded by the forests. One of the days, we have planned a long guided walk with a local guide who will be delighted to show us a few magnificent trails in the area and explore the beautiful forests and hills around the hotel. 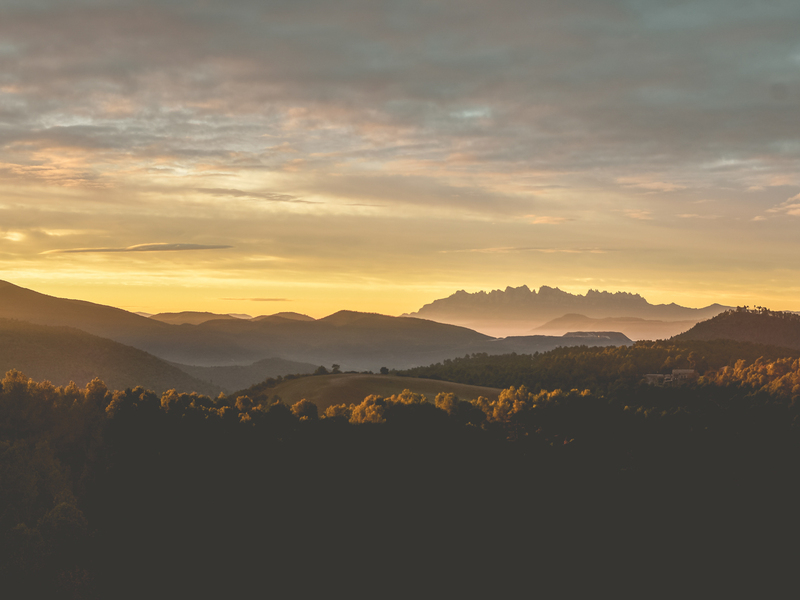 The best time to arrive would be Sunday afternoon as the programme starts after dinner, or you can arrive in the morning and spend the day in Barcelona before heading to the retreat. The best time to depart is Thursday late afternoon/evening as the programme finishes around 11am on Thursday. The location is about 1-hour’s driving distance from Barcelona. It can be accessed by car or you can request a transfer. Further instructions will be sent out upon registration. Very lovely place with quiet and peace. The private lagoon was perfect. Elena - you are a very skilled and good at creating practices that fit each individual.And you seem very balanced which reflects in your classes. I really liked the group. I love your positivity and patience/spirit + your experience. This is a very beautiful, special place. Really liked the yoga for its dynamism, how it built up from class to class, how it’s so flowing yet very challenging at times. Meditation was great too, but I am more of a movement person. Beautiful place, nice atmosphere, amazing practice and teacher! I enjoyed it a lot and it was even better than expected. Elena, you have a beautiful voice to listen to during the yoga class. I liked the intensity of the classes as well. We had the most enjoyable weekend yoga retreat in Iceland with Sparkling Yoga. Elena is a wonderful teacher and has a gentle and playful approach to her classes. The classes combined with the thermal pools at the blue lagoon made it a memorable experience. I would definitely go on another of Elena’s retreats. Location - beautiful. Elena - voice, yoga nidra, sense of calm and peace. You are like an angel. Thank you for being so lovely and sharing this experience with me. Please keep me on the mailing list as I would love to join you on future retreats. I enjoyed the balance between dynamic and physical practice and the constant calmness and grounding. The location is magical and so is the yoga practice! I enjoyed every class and felt it had a good balance. Dear Elena, thank you so much for another wonderful retreat. I really needed it! Also thank you for your calm and sweet presence. You said some things that really resonated with me and the things I’m going through at the moment. Hope to see you soon in Copenhagen! I enjoyed the place, the focus, the purity. The bubble effect of the retreat. The teacher and her ability to include everyone.The location - beautiful and pure place. Thank you! The nature and surroundings are an amazing offset for the practice, very nurturing and relaxing. I enjoyed the mixture of classes based on the elements and your gift to adjust the sessions depending on the group. I love that we practice to music and the poses have great variety. The way that the classes are structured suits me well and mix of physical and meditation is very balanced. Hope to join you in Morocco or Bali! The surrounding and the lagoon are wonderful. Elena - you are a beautiful person. Elena, you are the best teacher!! Really nice practices, enjoyed them all!! Found them a bit softer than last time - but that could also be just me..As always, really nice to be at the lagoon. I love the location which is perfect in connection with doing a lot of yoga, going into the lagoon after the classes was very enjoyable and the views magnificent. I feel that I got deeper into the poses and loosened up more that I have done in a long time, extremely pleasant feeling 🙂 I could probably use another couple of days here. Thank you!